1. Try a different USB port or UL-certified wall charger. Do not use a USB hub. 2. Try cleaning the charging contacts using a toothbrush or toothpick. You may also use an Alcohol swab. Be sure not to scrape the contacts with metal as it can damage the plating, resulting in corrosion. If your Nabu still would not charge, please contact Customer Support. The Nabu X is made of a silicone material that is both durable and flexible. This material is comfortable and hypoallergenic, so you can wear it all day. The Nabu X is water resistant, which means it is okay to get it wet, just don't immerse it in water. For example, you can take a shower with it, you can run under the rain with it, but do not swim, bathe or enter a sauna with it. The Nabu X can be worn on either wrist, but we do not recommend wearing the Nabu X on your ankle. Keep your Nabu X dry and clean it regularly, especially underneath the band. Wear the Nabu X loosely enough to allow air circulation. Use skin care products sparingly on the areas that are covered by the Nabu X. If you experience any discomfort, please stop using the Nabu X. Does it use up my phone's battery? The Nabu X is a Bluetooth device which requires regular connectivity to your phone. Although the Nabu X does not use your phone's battery, having your phone's Bluetooth turned on does affect its battery life. I updated the firmware to of my Nabu X to be compatible with the new Nabu App, but it failed. What do I do? The Nabu X comes with a proprietary charging cable which you can use on any computer or any USB wall charger. For more information about the step-by-step procedure of charging the Nabu X, download the Online Master Guide at www.razersupport.com. Why is it not charging? 1. Clean the charging contacts by using warm water and a cotton swab. Carefully clean the charging contacts on your Nabu X and charger. If a cotton swab does not fully remove the dirt or debris, use a toothpick or toothbrush. Do not immerse your Nabu X in the hot water and do not use any abrasive cleaner. Thoroughly dry your Nabu X before attempting to charge. 2. Try a different USB port. Your charger may not be getting enough power from the USB port it is plugged into, or the USB port may be defective. Avoid using USB hubs. Powered or unpowered USB hubs do not always provide a consistent output to charge your Nabu X. If you're using a USB hub, try to connect the USB charging cable directly to your computer's USB port or a USB wall charger. If your Nabu X starts charging while directly plugged in, the USB hub is not providing enough power and should not be used. If you have done these steps and you are still having trouble charging the Nabu X, please contact Razer Customer Support at www.razerzone.com/contact-us for further assistance. I'm going on a trip. What should I know when traveling with it? • It is safe to take the Nabu X through airport security. The scanning machine will not register it as a threat nor can it be damaged by the scanning machine. • The Nabu X uses Bluetooth Low Energy, which is considered safe by most airlines. • For charging purposes, the USB cable can be plugged into any power source that is provided by some airports and airplanes. • The Nabu X can store up to 5 days of fitness and sleep data, so it is okay to turn off your mobile phone during the flight. • Remove the Nabu X when applying lotion or bug spray because these chemicals may deteriorate the smartband. Do the LED indicators stay on all the time? No, the indicators do not stay on. They only light up when there are incoming notifications or other such alerts. How does it count steps? The Nabu X uses a 3-axis accelerometer to understand your movements. An accelerometer is a device that turns movement (acceleration) of a body into digital measurements (data) when attached to the body. By analyzing acceleration data, the Nabu X can provide detailed information about frequency, duration, intensity, and patterns of movement to determine your steps taken, distance traveled, calories burned, and sleep pattern. The 3-axis implementation allows the accelerometer to measure your motion in any way that you move, making its activity measurements more precise than older, single-axis pedometers. The Nabu X uses a complex algorithm designed to look for indicative motion patterns for step counting. One condition for a motion pattern to be recognized as a step is to set a threshold. If a motion and its subsequent acceleration measurement data meet the threshold, the motion will be counted as a step. If that threshold is not met, the algorithm won't count the motion as a step. Other factors can create enough acceleration to meet the threshold and therefore cause some over-counting of steps, such as riding on a bumpy road. Equally, it's possible for the algorithm to undercount (not meet the required acceleration threshold). How does it track my sleep? During Sleep Mode, Nabu X records each minute your body is at rest. Each significant movement such as rolling over will inform Nabu X that your rest is interrupted. This does not necessarily mean that you are fully awake or aware of your movements, however it may indicate that you are not getting the most out of your sleep time. Based on this data, Nabu X can determine if you are well rested or not. How does it know how many calories I've burned? The Nabu X uses your Basal Metabolic Rate (BMR) to estimate the number of calories you have burned. To calculate your BMR, we use your height, weight, age, and gender that you provided when you created a Razer account. Does it accurately track calories from cycling? The Nabu X is optimized for walking, resting, and running. It will not be as accurate for activities such as cycling. What are the Nabu X's return and warranty policies? The Nabu X has a 14-day return policy. Any Razer products purchased from www.razerzone.com/store can be returned for a refund within 14 days of shipment. The Nabu X also comes with a manufacturer's warranty. You can read our full return and warranty policy on our website www.razerzone.com/warranty. Can I use my Nabu X with different devices at the same time? No, you can only pair the Nabu X with one iPhone/Android device at a time. If you want to change devices while using the Nabu X, please make sure you disconnect/remove your band from the Utility App before pairing it to a new iPhone/Android device. My Nabu X does not start when I take it out of the box, why? You have to plug the Nabu X to a power source with the provided charging cable to activate it. When I try to register my phone number, I don't get the verification text message. Why did you change from a Hi-5 gesture to a Handshake gesture? With feedback from Beta testers, continual internal testing and more, we discovered the Handshake gesture to be even more accurate to initiate the exchange of information than the Hi-5 as originally implemented. How can I try this new Handshake gesture? A new firmware update should have been sent through to you – along with an update to the Nabu X Utility app. Please ensure to have the Handshake feature activated under Social Settings in order to use it. Will the new Handshake gesture drain my Nabu X’s battery? The Nabu X will initiate a call to detect if a Handshake is being initiated if the feature has been activated under Social Settings. 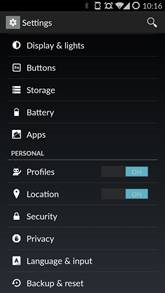 It is advised to turn off the feature when not in use in order to save battery. When do I need to reset my Nabu X? How do I reset my Nabu X? To reset, double tap the module 5 times and then when the LED indicators change to all three blue lights, shake the Nabu to accept the reset. Why do I need to install the Utility App for Nabu X? The Utility App is a settings application for your Nabu X so you can customize your smartband. There aren't many apps available for the Nabu X right now - what's up with that? We're currently working with developers to come up with a wide range of apps for the Nabu X. Keep looking in our marketplace for a new apps. We'll also keep you informed on new releases via our mailing list. Is the Nabu X Windows Phone compatible? Not quite, but we're working on it right now. Functionality is too limited to be considered consumer-ready (i.e. SMS notifications only, no Pulse, Hi-Five, etc.). It's due to the Windows Phone architecture which makes it challenging to get the same degree of integration as we can achieve with Android and iOS. How often does it sync with my phone? The Nabu X will constantly sync to your phone every 5 minutes, as long as both are powered up and are connected to each other. Can I sync it to multiple phones? No, you can't. The Nabu X will only sync to the phone that is currently paired to even if you are currently logged into multiple devices. Can I sync more than one Nabu X to one phone? No, the Nabu app allows you to only maintain one Nabu smartband per account. Do I need to manually sync the Nabu X with the Nabu App everyday? No, you don’t need to manually sync it every day. If your phone is powered down or not within a range, the Nabu X will keep your entire fitness and sleep data for up to 5 days. Once your phone is available, the Nabu X will automatically upload any stored data to your account. When I double tap my Razer Nabu X nothing seems to happen, what is wrong? Please ensure the top of the Nabu X is as level as possible when tapping. How do I read the graph on the Nabu fitness application? Within the Fitness app, tap on the metric (steps, KM, calories etc) to bring up a detailed graph. I know the Razer Nabu X will sync about every 5 minutes, but can I manually sync the counts myself? Yes, to get the Nabu X to manually sync simply open the Nabu Fitness application and pull down on the screen to refresh. If I am away from by phone and I have lost Bluetooth connection to my Razer Nabu X, how long will the Nabu X store my fitness and sleep data for? 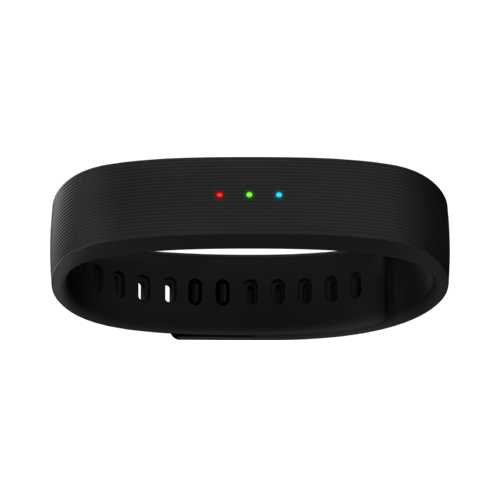 The Nabu X will store your data for up to 5 days. The next time you establish a Bluetooth connection to your phone, all the data in your Nabu X will sync with your account. My step count does not seem accurate, how do I fix this? Please contact Razer Support with details on the inaccuracy of the step count and we will evaluate this on a case by case basis. Is the Razer Nabu X compatible with older versions of Bluetooth? The Nabu X has been tested with Bluetooth 4.0 and is generally compatible with all devices that use Android 4.3 or higher and iOS 7 and higher. My Razer Nabu X will not always re-establish the Bluetooth connection to my phone if I walk away from my phone. What is wrong? 4. Occasionally, the Bluetooth calls may get out of sync. To rectify this, restart the Bluetooth connection. 3. Occasionally, the Bluetooth calls may get out of sync. To rectify this, restart the Bluetooth connection. Can I set more than one alarm on my Nabu X? No, however you can set an alarm to repeat on specific days via the Nabu X Utility application. Can I adjust the vibration intensity of the alarm independently of the other notifications? No, they will all share the same intensity. The “Pulse” setting on my Razer Nabu X is turned on but I do not receive notifications from other nearby Nabu X users who also have this feature enabled. What could be wrong? The Pulse feature only works with apps that has this feature integrated. For the default Nabu X Utility app, you can use the Handshake feature instead to exchange contacts via Twitter. The handshake function on my Razer Nabu X does not seem to share our Facebook and Twitter contact information. It vibrated when we shook hands, but we never received a notification from Facebook or Twitter. How do we fix this? Please ensure that "Handshake" has been activated under “Social Settings” in the Nabu X Utility, and that you have also authenticated your Facebook and Twitter account. Update: With Facebook now taking down their “Message” function for ALL developers, exchanging Facebook contacts via Handshake will no longer prompt you via Facebook messenger. However, we are currently working on an alternative whereby an email will be instead sent to both parties with their Facebook details. We cannot help you in modifying or disassembling your Razer product since that will void the manufacturer’s warranty on the product. If you are experiencing issues with the Razer device in a particular application, test the device in another application to confirm if the issue is specific to that application. 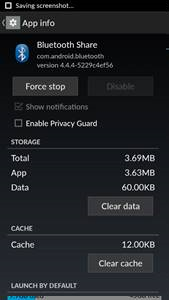 If the Razer device functions properly in another application then the program is likely the cause of the issue. Please feel free to contact customer support at //www.razersupport.com/contact-us/ to report the issue and see if there are any fixes or workarounds for the issue. What do I do if I am having issues with my Nabu app on iOS? Band not connected/syncing takes too long/info missing from dashboard. To connect your Nabu band to the Nabu App, please ensure your Nabu band is removed in your phone’s Bluetooth Setting before you perform “Add Device” in Nabu App. After upgrading my IOS Nabu App, the App’s Dashboard shows “No Device” and all my fitness data displays zero. Do ensure your phone is in good network connection, quit Nabu App by double-click on your phone’s Home button, swipe up until Nabu App pushes off the top of the screen before launching the Nabu App again. What Apple devices are compatible with it? Is the latest Razer Nabu App (version 2.1.0) support on iOS. The new Nabu app is supported on iOS 8.0 and higher. Lower versions of iOS are not supported. Why does my Nabu not Sync or receive notifications again after a Firmware Update via my iPhone? Will the Nabu X Utility and Fitness Apps work on iOS 9? Our current Nabu X Utility and Fitness Apps are made to work with iOS 8 and will not work with iOS9. We hope to have the all-new Nabu X companion app ready for IOS by the end of November 2015. I'm having a trouble syncing the Nabu X to my fitness app, why? If these conditions are met and you are still having a trouble syncing the Nabu X, please contact Razer Customer Support at www.razerzone.com/contact-us for further assistance. Why am I unable to get notifications for incoming calls on my iPhone? My Razer Nabu X is paired with my phone and the other functions seem to work. Please try this solution. Unpair your Nabu X from your phone and then establish the Bluetooth connection again. To do this go to Settings > Bluetooth and select “Forget This Device”. Then re - pair your phone to the band. How do I adjust the different types of notifications I receive on my Razer Nabu X? iOS relies on ANCS. A native notification system managed by iOS itself. To adjust these …. When I open my Nabu App, it does not show the latest data right away, why? The Nabu X takes some time to sync to the Fitness App when it opens. To save power, the Nabu X will only sync live data when it detects that an approved 3rd party application is installed on your iPhone. How do I set the time for a "Sleep Mode"? 1. Go to the "Drawer Menu"
My Razer Nabu X will not sync with Apple’s Health Kit, what is wrong? When your band is paired using the Nabu X Utility, you will be prompted to register with Apple’s Health Kit. Once all features have been accepted and enabled, you will be able to see the data within the Health Kit app. Should there be any problems, open the Health Kit app and check that under “Sources”, that Nabu X Utility is enabled. Do you have support for iPads? We currently do not have support for iPads. What should I do if Nabu X stops receiving notifications? Please make sure that the Nabu X is not set to "Do Not Disturb" or "Sleep Mode". If problem persists, please restart your iPhone's Bluetooth connection. How do I find the third-party apps that work with the Nabu X? You can find the third-party apps on the Utility App's "Marketplace" tab. Simply select the app you wish to install from the list and it will automatically launch the iTunes App Store for you to download the app. I am having a trouble keeping my Nabu X connected to the phone, what can I do? 1. Restart your iPhone's Bluetooth. 2. Remove Nabu X from the Nabu X Utility App and re-connect. 3. Forget Nabu X from your iPhone and re-find the device during scan again. After trying each of the steps above, please send a test notification to the Nabu X (Device > Details > Send Test Notification) to see if notifications work. If the problem persists, please contact Razer Customer Support at www.razerzone.com/contact-us. I’m using an iPhone but the Handshake feature is not working? This is a known problem: when the Nabu X Utility app is moved to running in the background, or when your iPhone’s screen is locked, the Handshake feature is known to not work as intended. We are working to improve this matter – until then, please keep the Nabu X Utility app on your iPhone running in the foreground for Handshake to work. 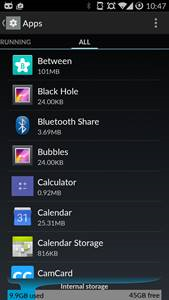 What Android devices are compatible with it? We are constantly working to add more devices to this list, so check again later if your device is currently not supported. How do I get my Razer Nabu X to start and exit sleep mode automatically? Open the Nabu X Utility application and select “Sleep Mode”. Turn ON “Automatic Sleep Tracking” and enter the approximate time your sleep routinely start/end. To turn it off, set “Sleep Tracking” to OFF. Is there a way to customize the lighting notifications on the Razer Nabu X? Yes, open the Nabu X Utility Application and select “Notifications”. You can then tap and select the type of lighting you get for incoming calls, alarms and notifications from other applications. If you do not wish to receive notifications from any of these you can simply turn them off. My Razer Nabu X seems to buzz, pulse or light up for no apparent reason. There are several reasons why you may be receiving notifications and you may not want to receive every single one of them. -You can then select the applications you wish to receive notifications from and uncheck the ones you do not. You can also check the social settings of your Nabu X. From the Nabu X Utility, select “Social Settings” where you will have the ability to turn on or off the handshake feature. The fitness app for my Razer Nabu X thinks I am the wrong gender, how do I fix this? Within the Nabu X Utility, tap on the “list” icon to bring up the navigational menu. Go to your profile and tap “edit” to change your details such as gender, height, weight and birthdate. When I open my Fitness App, it does not show the latest data right away, why? The Nabu X takes some time to sync to the Fitness App when it opens. To save the battery, the Nabu X will only sync live data when it detects that an approved 3rd party application is installed on your Android. Why is it not syncing with the Utility App? 1. Make sure that your Android device is officially supported. 2. Make sure that your operating system is Android 4.3 or higher. 3. Make sure that your Android device has Bluetooth enabled and is paired to the Nabu X. 4. Check if an existing sync is not in progress. You can check if the Nabu X is already syncing with your Android by opening the Utility App and checking the Device screen. This screen will tell you the last time the Nabu X was synced and will also tell you if syncing is in progress. The time to complete a sync may vary and can take up to 30 seconds. ◦ Tap and hold the Home button to display the recently used apps. ◦ Swipe left or right to select the Utility App. ◦ Swipe up to quit the Utility App. You may need to log back into your account after a quitting the app. If you're still unable to sync after these troubleshooting steps, please contact Razer Customer Support at www.razerzone.com/contact-us. Please make sure that the Nabu X is not set to "Do Not Disturb" or "Sleep Mode". If problem persists, please restart your Android device's Bluetooth connection. Simply select the app you wish to install from the list and it will automatically launch the Google Play Store for you to download the app. 1. Restart your Android’s Bluetooth. 3. Forget Nabu X from your Android and re-find the device during scan again. What happens if my Nabu X disconnects and does not re-connect automatically with my Android phone? Restart your phone’s Bluetooth in order to re-connect the Nabu X. Simply turn OFF and then ON Bluetooth on your phone. 3. Go to the tab "All"
How do I safely use the Razer Nabu X proprietary charging cable? A safety notice. 1. If using a third-party USB charger with the Nabu X charging cable, please plug the charging cable into the Nabu X unit first before plugging the USB into the charger or turning on the charger. 2. Ensure the proper alignment of the charging cable with the Nabu X unit and DO NOT force the fitting if the charging cable does not fit snugly (see illustration below). 3. Do not slant the charging cable at an angle when inserting it into the Nabu X unit. The Razer Nabu X charging cable has been thoroughly tested and is certified for safe use, provided it is used correctly. Using the charging cable improperly may be hazardous and can also damage the cable and Nabu X. Razer will not be responsible for the use of the charging cable in a manner not advised above. 1. Use a safety-certified USB charger/adapter with a current rating of no more than 2A, preferably 500mA. 2. DO NOT touch the exposed charging pins of the Nabu X charging cable against any metallic surfaces, especially if the other end is plugged into a USB charger that has been turned on. Why is my WeChat app not updating with the latest fitness data from my Nabu X? Please ensure the Razer Nabu X WeChat service account is connected to your band. Connection is indicated on the top navbar within the service account itself. If it is not connected, please exit the service account, and re-enter it to allow a connection to be established. Upon establishing a connection, the latest steps count data will be synced to WeChat.